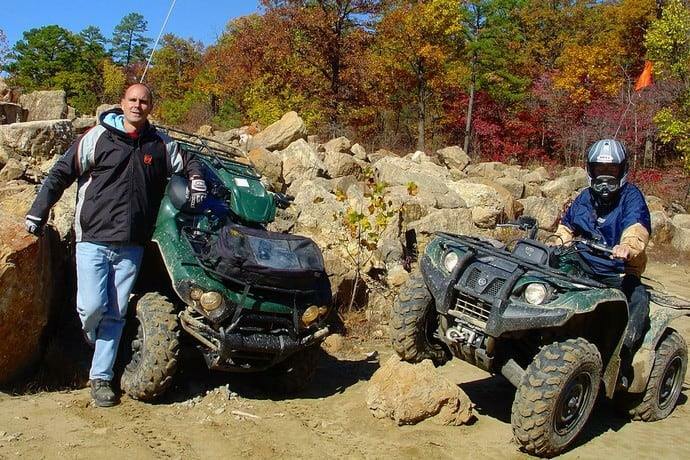 Blog » Camping » Campsites » Mid-West » The Best Places To Camp In Missouri: Where You Should Know! Have you ever gone camping in Missouri? If so, where did you visit and how do you rate that site? Missouri has numerous camping spots. I realized this fact last summer when trying to find some of the best places to camp. Missouri is naturally beautiful and camping with kids is lots of fun. In the Mid-West, it is ranked as a top spot for camping. You will have a treat. From singing birds in the early morning to radiant flames of a campfire in the late night. 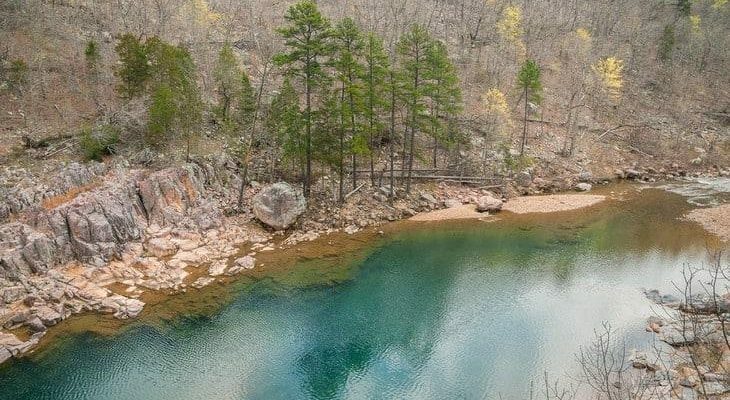 Here I have put up a list of some of the best places to camp in Missouri. 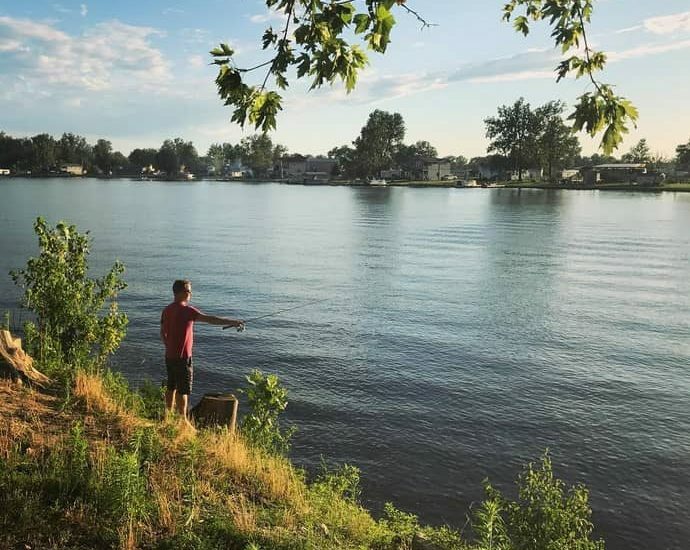 By the way, you can follow our thread to know more awesome places to camp in the U.S.
Big Lake State offers perfect camping for kids with numerous swimming and boating facilities. I would advise campers to carry their full camping gear (tents and bivy sacks for instance.) as there are many opportunities for exploration. For those guys with love for bird watching, carry a pair of field glasses because the camp is near Creek National Wildlife Refuge which provides a perfect view of some of the world’s most beautiful birds. The Cuivre River State Park is the best place for hikers looking to free themselves from day to day commotion of the city. Visitors can swim and go on boat rides (Lake Lincoln) while enjoying nature’s offer of fresh air. The Cuivre River State Park also has an on-site restaurant which offers different delicious delicacies. Therefore, there is no hustle for campfire meals. For sufficient exploration be sure to carry tents and sacks because the fun does not end in a day. For hikers with love for horses and high-speed vehicles, St Joe State Park is the best place to be. The Park is considered the third-largest in the US, has a large stretch of land set aside for high-speed vehicles and horse trotting. The park also provides a great historical education as you tour the vast mines of Missouri. Carry your cameras for this great educative experience as you visit the museums. The Pershing state park is rich in history as it is where the famous General John Pershing grew up. You should, therefore, hike with your kids for this ultimate educational experience. I recommend long nature walks in the beautiful vegetation. There is a perfect mix of the existing plants and animal which just proves the exact nature of Missouri: Swampy and with thick forests. Fishers can also enjoy their trade in the available Lakes and the Locust Creek. The Arrow Rock State is a gem and my favorite spot to camp in the Midwest. The park beams with history as evidenced by the Bingham home owned by George Bingham, an artist well-known in the 19th century. For the hungry, dinner is always available at the multiple on-site restaurants in the state. The Houston Tavern is a perfect place to dine while enjoying an excellent evening show in one of its theaters. This Park has several camping sites and close to 12 trails for hiking and horse riding with excellent views of the Lake. The park also presents an opportunity for education as the Ozark Caverns is full of fantastic rocks of different formations. I recommend that you carry your kids along with their notebooks. For campers who fear tents and sleeping bags, you can sign in at one of the several lodges available in the state. Restaurants are also in plenty. The Meramec Caverns has multiple campsites all with shaded riverfronts. The lodges are fully equipped with opportunities for warm showers. You can also go on boat rides on one of the many canoes available for rent. One interesting issue about the Meramec Caverns is that the temperature is always constant, regardless of the weather around. Be sure to carry tents and sacks as the cavern offers beautiful spots for pitching camp. The cavern is also educative so carry your kids along. This state is full of ancient archaeological history as it was once the home of Native Americans. Fossils of various animals can be found all over the state and excavators rate this number one spot for their activities. Camping with your family presents an opportunity for adventure and an excellent education. Make sure that your kids pack their cameras and notebooks as there are many exemplary scenes in the state. You should carry tents rather than bivy sacks as the terrain is not that fair. This campground has the best views of waterfalls and waterslides. Do not hesitate to carry your cameras as some of the best scenes in the world exist here. Camping is highly likely as the site offers the best getaway from the city’s hassle. Backpack heavily. Carry your tents and sleeping bags as the fun does not end in a day. You will have a treat from nature because the rivers and forests bond with campers. This campground is very famous for its trees, especially the oak and hickory. The trees’ alignment is fantastic creating an easy-going flow of water creating a breathtaking separation between them. Tents are welcome as the campgrounds are flat, therefore, allowing easy setup. An on-site restaurant is available for evening meals (for those not fond of campfire dinners). If you are not a fan of tents, then come with a trailer or rent in the state. Did you find the article helpful? This list helped me a great deal to enjoy my last summer holidays. Now touring all the places in the list has become a mission that I surely intend to achieve sooner rather than later. I know that these are not the only locations in the Midwest worthy of a tour. Feel free to help me add other gorgeous places to this list. Leave me a comment by all means. Thanks.